In shuffle mode, my iPod went from "Angel" by Massive Attack, to The UnXpected's cover of "Angel" by Sarah McLachlan. I half-expected it to segue to the opening theme for the Angel TV show next. 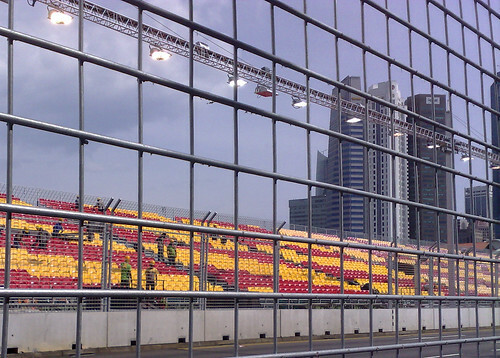 Downtown Singapore is being transformed into a playground for really fast cars. Good thing I'm running all my weekend town errands tomorrow instead of next week. Google, I am not a bot! Do you shoot RAW or JPEG?